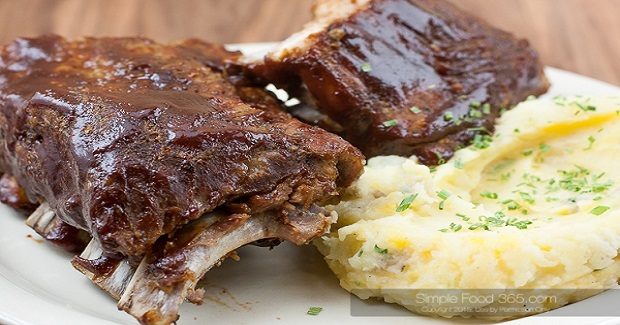 Baby Back Ribs Recipe - Gutom Na! Posted on Wednesday, November 30th, 2016 at 5:26 pm. Coat the ribs with the dry rub, working it into the meat. Let it rest for fifteen minutes, then wrap them in two layers of aluminum foil. Bake at 325 for 3 hours, then at 300 for an hour. Remove the aluminum foil for the last half hour, mopping with sauce with 30 minutes of baking time left, then again with ten minutes left. NOTE: Wrap them in two layers of aluminum foil to avoid drippings running all over the oven.